Update February 2017: I have updated and expanded this post into an entire section of Grad Student Finances. 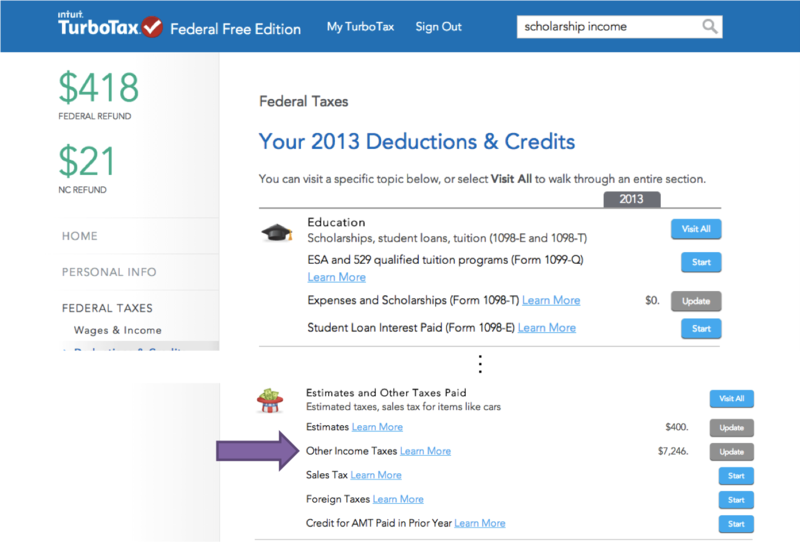 Read the entire 2016 grad student tax guide, jump to the step-by-step instructions for entering grad student income of various types into TurboTax, or go directly to the equivalent of this post on entering 1099-MISC fellowship income into TurboTax. 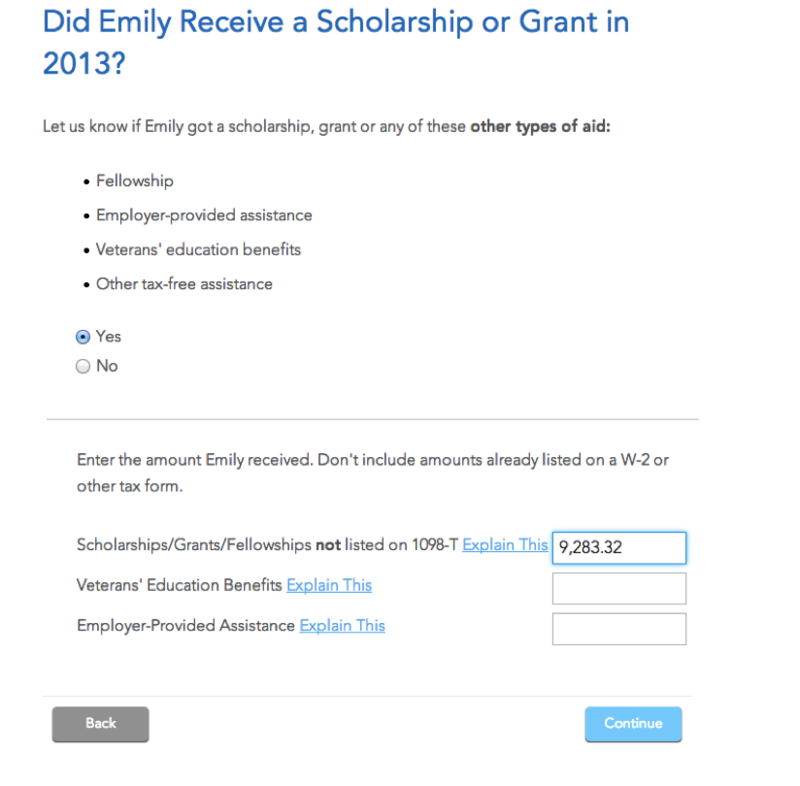 This post is a step-by-step guide to show you how you can enter 1099-MISC box 3 income and withholdings that you received for your graduate school fellowship stipend into the free version of TurboTax (2014 edition). If you have ever tried this before, you know that it can be a frustrating process because the straightforward approach does not work! 1) I have no financial degrees or certifications and I’m not a tax expert. I’m just a PhD student who is wrestling with 1099-MISC income and has enough interest to devote time to figuring out how report it. Please use your own judgment as to whether or not to take my suggestions. These screenshots came from when I was preparing our tax return, so please ignore stray numbers! 2) I actually don’t think it’s a great idea to use only tax software to prepare your taxes – particularly the free versions, which have limited capabilities. I think you’re much better off investing some time into understanding how to fill out the 1040 and related forms without depending on software. If you have 1099-MISC box 3 income and take the standard deduction, I’d wager that it’s far easier to just prepare you taxes by hand than to force tax software to do what you need it to, because for whatever reason our fellowship-as-stipend situation is not one that the tax software thinks exists. 3) This guide is not mean to be all-encompassing of how to prepare an entire tax return or even how to enter all your scholarship income. It very narrowly discusses entering 1099-MISC income (or income not reported on any tax forms). For a more complete picture, please see the tax section of a university website I helped develop for other common types of income for graduate students and how to calculate your net fellowship income received (all fellowship/scholarship income minus all qualified expenses). Now on to the guide! TurboTax is a very popular tax software and you can get your return to properly reflect your 1099-MISC income and withholdings, but there are some pitfalls you must avoid. You will see my emphasis in the images in purple. The straightforward approach to entering your 1099-MISC box 3 income and withholdings into TurboTax is not fruitful. 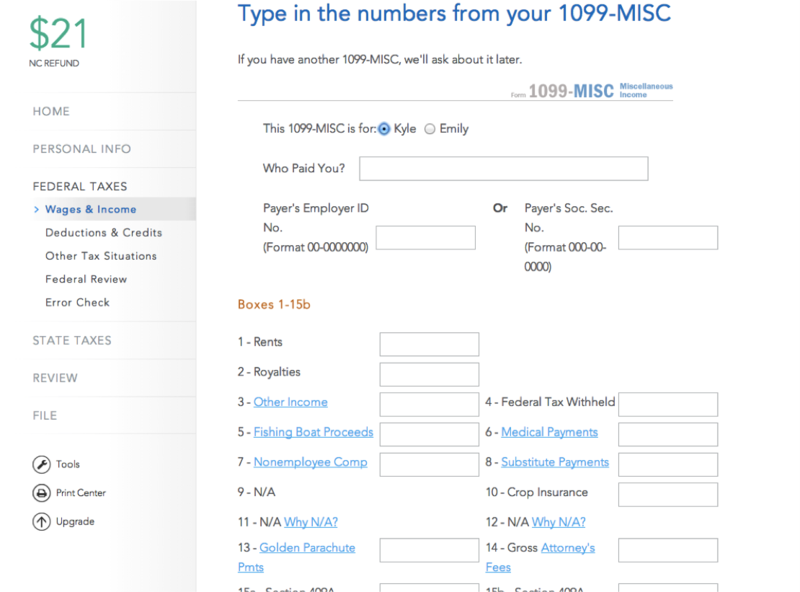 You should be able to go straight to the 1099-MISC income section and import the form. 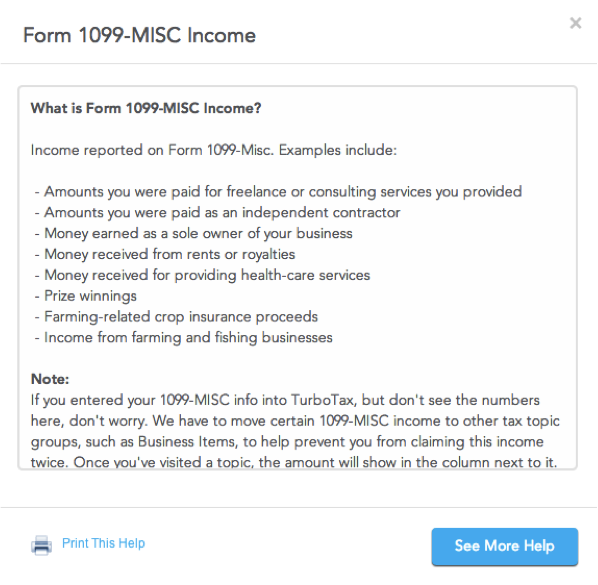 TurboTax doesn’t recognize fellowship income as a reason for receiving a 1099-MISC. TurboTax forces you to explain why you received 1099-MISC box 3 income (when you fill out the return yourself it doesn’t try to prevent you from doing this!). No truthful answer is satisfying to TurboTax. 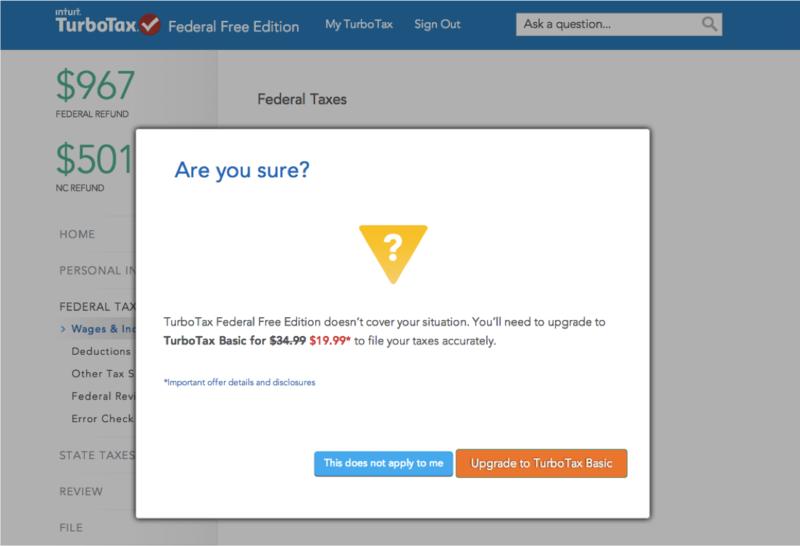 Ultimately, TurboTax asks you to upgrade. 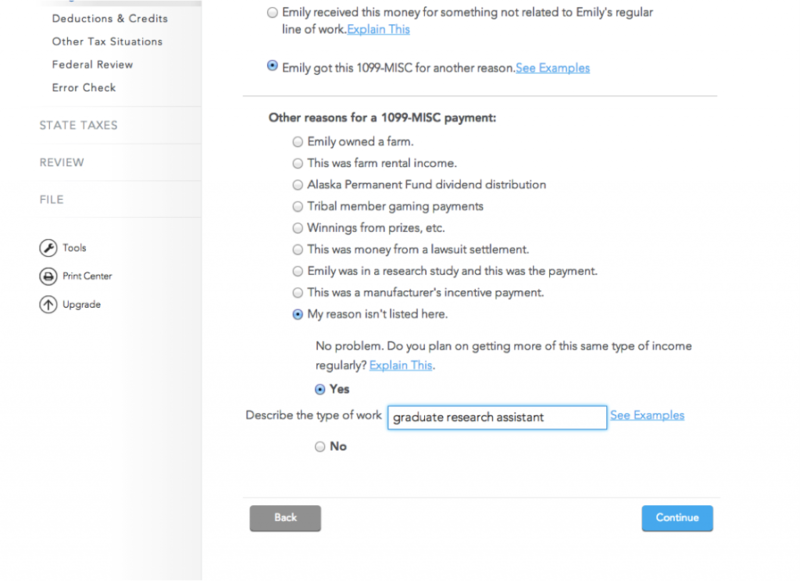 Basically, as soon as you tell TurboTax that you want to enter 1099-MISC box 3 income, it tries to trap you into admitting that you are self-employed, which as a grad student you are not (almost always). If you indicate in any way that this is self-employment/independent contractor, TurboTax will ask you to upgrade from the free version and then probably try to sign you up for a bunch of taxes you don’t actually owe. I tried a few combinations of truthful and not-so-truthful answers before giving up on the straightforward strategy. That’s enough of what doesn’t work! Here’s what you can do to successfully enter your 1099-MISC fellowship income and withholdings. Go to the Deductions and Credits section and Start the Expenses and Scholarships section. This is the first screen you will come to. You have to enter a bunch of info about your school and yourself. (I did not have a 1098-T this year so I said “no” to that question and I’m not sure how this would play out if you had to enter both a 1098-T and a 1099-MISC.) If you have any expenses from your degree, certainly enter them. Finally, you get to the relevant screen! Say “Yes” to having a fellowship and then enter your fellowship income (from your 1099-MISC box 3) into the appropriate field. Now TurboTax knows about your income, but unfortunately you have to go elsewhere to enter the tax you had withheld (the entire reason you received the 1099-MISC in the first place!). Wouldn’t this be more straightforward if it just let you enter the 1099-MISC with box 3? 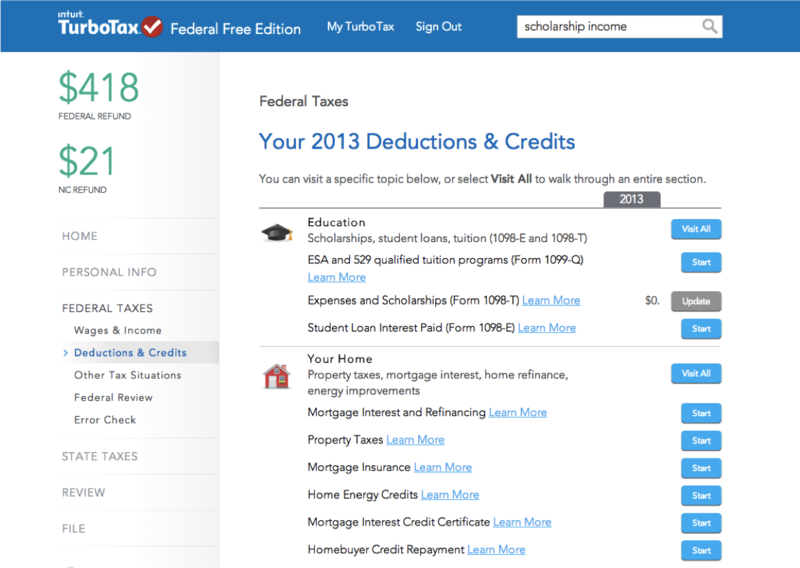 To tell TurboTax about the income tax you had withheld from you fellowship, as reported on your 1099-MISC, scroll down in the main list in the Deductions and Credits section to Estimates and Other Taxes Paid and click on Other Income Taxes. Scroll down to the last section and under Other Income Taxes Paid in 2013 choose Withholding not already entered on a W-2 or 1099. Then just enter the withholding from your 1099-MISC box 4. According to Publication 970 p. 6, you should report your fellowship income on line 7 of your 1040 (or line 1 of your 1040EZ or line 7 of your 1040A). You should note the letters “SCH” for scholarship and the amount of the scholarship next to it. This was the end result on the 1040 A TurboTax prepared for me. Easily the biggest pitfall in trying to report 1099-MISC box 3 fellowship income is to accidentally say that you are self-employed. If you follow the guide above that won’t happen, but if you are preparing your taxes yourself or outsourcing the work to someone else, just make sure you don’t go down that rabbit hole. If you accidentally say you are self-employed you will pay lots of extra taxes that you don’t owe! Another way people have found to get 1099-MISC box 3 fellowship income into TurboTax is to report it as gambling income. The numbers will turn out correctly, but instead of the desired “SCH” label, you will have a “G” label. I hope this guide was helpful for you! In the next couple weeks I will prepare similar guides for TaxACT Free Federal Tax Return for Everyone! and possibly also H&R Block Software and TaxSlayer (affiliate links). 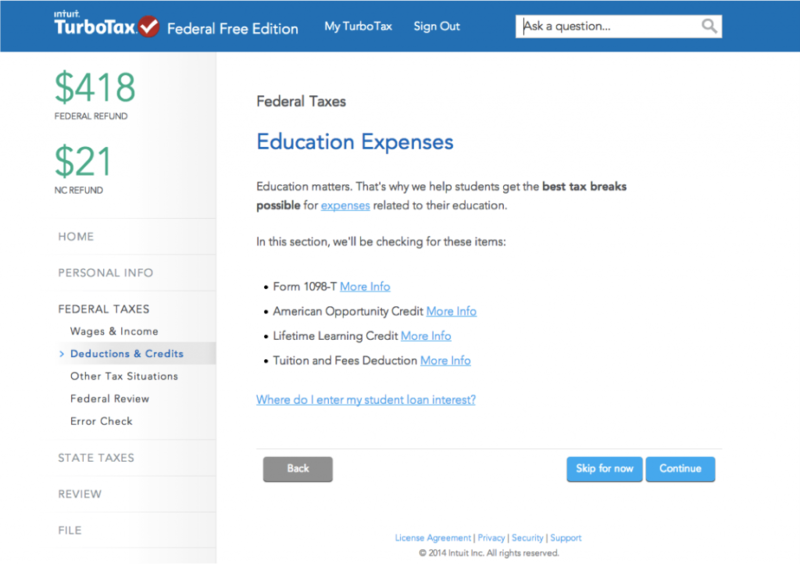 If you found this guide helpful and want to use TurboTax to prepare your tax return, I would really appreciate it if you would use my link below to sign up for it – the blog will earn a small commission! Thanks! Did this strategy work for you in entering your 1099-MISC box 3 fellowship income and withholdings into TurboTax? What are alternative methods you have used? Have you ever had to bend the truth to force tax software to come to the right conclusions? 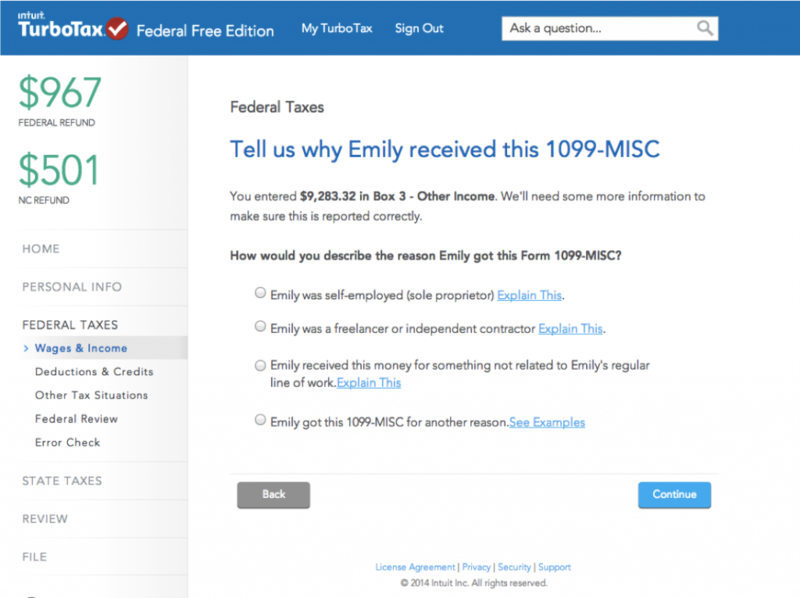 29 Responses to "How to Enter 1099-MISC Fellowship Income into TurboTax"
Thanks, Emily. I’m looking forward to reading about how the other software deals with 1099-misc scholarship and fellowship income. It is especially disappointing that the 2012 version of turbotax didn’t make you jump through these hoops. I think a lot of the value in tax software is the e-file at the end. Do you guys print and mail? From what I understand, the free e-file options are limited to simple returns and/or low income filers. Thanks for being the first to comment! Yes, it is too bad that the versions change from year to year and can decide to ignore our population! We have printed our state returns and sometimes federal in the past (or submitted through software) but are planning to e-file this year. I just checked and our AGI is low enough but thanks for pointing that out for others who earn more! Depending on how difficult the software is to use, I probably would prefer to use the free fillable forms and then print them (since we have to do that for the state returns anyway) if free e-filing wasn’t an option. That it’s confusing. If you’re not self employed or an independent contractor (for that job) what do you consider yourself? And I guess to the IRS’s concern, who is paying your payroll taxes? This post is extremely helpful, thank you! I wanted to ask how you get turbo tax to recognize the misc-1099 for the NC state return. Turbo tax is giving me a hard time with the state return as well. Unfortunately, my taxes are a little more complicated by itemizoing instead of taking the standard deduction. Thanks again! Thanks for your response. Unfortunately, I am considered a part year resident since I moved to NC mid-year, therefore I must file for both states. In the NC state return Turbo Tax is not recognizing that a portion of our income is attributed to the previous state and showing income that we have already reported to the other state and that was taxed by the other state. In addition, it does not recognize the NC State taxes paid under the 1099-misc that were added per your tutorial on the federal. I don’t think you will be able to provide assistance given the unique nature of our situation. Thanks again. I encourage you to prepare your return manually. The NC return is really quite short and simple after you have since it starts with the federal AGI. I feel for you with the part year returns. I just think it will be easier to go forward with doing it yourself rather than struggle with software. Good luck! Please share as widely as you would like! I’m so glad you found it helpful. Yes, the 1099-MISC is sort of an inappropriate form for fellowships. I think it’s the best the universities can come up with if they want to do reporting at all (which, as you quoted, they don’t have to). However, I’d prefer to get a weird form and be able to do tax withholding than to have to pay quarterly estimated taxes. I’ve talked with people recently whose programs do not allow withholding on fellowships. That’s one way to avoid the 1099-MISC problem! Aside from the tax reporting, what is the reality of this money in your life? Did you pay $4k out of pocket for qualified fees? What other income do you need to report (W-2, other fellowship/scholarships that don’t appear on these forms)? Just wanted to say thank you for the excellent advice (last year as well as now). 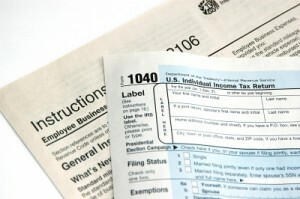 Aside from a few changes in icons, the details are still sound for filing 2014 taxes in 2015. The screenshots are particularly helpful! With regard to the 1098-T, sometimes, funds might be paid directly by the sponsoring department to the school. In other words, the money never actually touches your account. 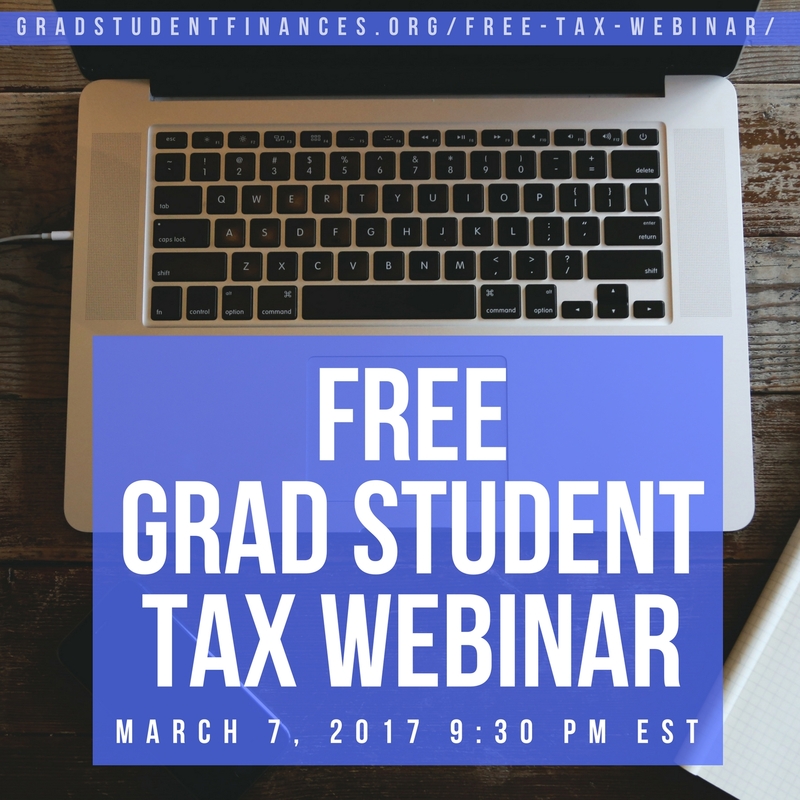 In effect, it is “free,” since it goes directly to paying qualified educational expenses and never comes to the student as income. I think different schools account for their scholarships and grants differently, so that might account for the disparity in forms. In any case, good luck to all fellow filers out there! I’m glad that the post has had some longevity! Yes, in those cases it doesn’t go through your name on either side so that is fine, and even if it did on both sides it would net out. The tricky thing that I hope would never happen is that one side gets reported for you and not the other. – do you at any point tell TurboTax you have a 1099? 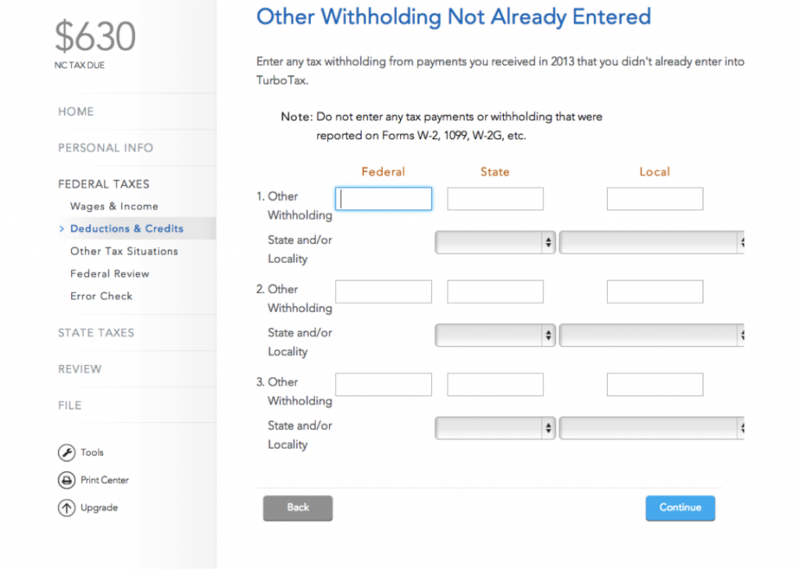 – do you send in your 1099 form to the IRS along with your TurboTax filing printout? – do you still claim expenses as you would if you were filing as self-employed or no? My main concern with these first two questions is that it seems “dishonest” to not present a 1099 tax form even when given one? I also took my taxes last year to H&R Block and they filed me as self-employed, following the TurboTax logic of 1099 = self-employed and I didn’t really question it. Now I’m wondering if they did it wrong and what I can do about it. You can see that this post was published in 2014, and the software has been updated since then. I actually started working on an updated version of this piece just yesterday, but I haven’t had luck figuring out how to properly enter 1099-MISC Box 3 fellowship into TurboTax. Stay tuned to Grad Student Finances while I work on this – and if you figure out how to do it, please let me know! Basically with tax software you completely replicate some forms within the tax software (e.g., W-2s, 1099-MISCs). The IRS has their own copies of these forms so I think it’s OK to not send them in unless you are prompted by the software to do so. As a graduate student you are not self-employed (I have an article schedule for tomorrow morning on Grad Student Finances explaining exactly this point in more detail!) so it is not appropriate for you to claim deductions for being self-employed. You should file amended returns for the years that you were incorrectly categorized as self-employed because you likely radically overpaid your tax and will be due a refund. If I were you, I would take all your info back to H&R Block and ask them to help you file the amended return because it was their mistake in the first place. You should read Publication 970 Chapter 1 (at least) to familiarize yourself with how fellowship income is supposed to be treated on your tax return. Pointing H&R Block to that chapter and explaining that fellowship income is not self-employment income (and Box 3 is different than from Box 7!) should help convince them that they were in the wrong. People, even tax professionals, put way more trust in tax software than they should for these unusual cases! It’s actually pretty easy to get Turbotax to handle it the right way but it requires going into Forms mode. 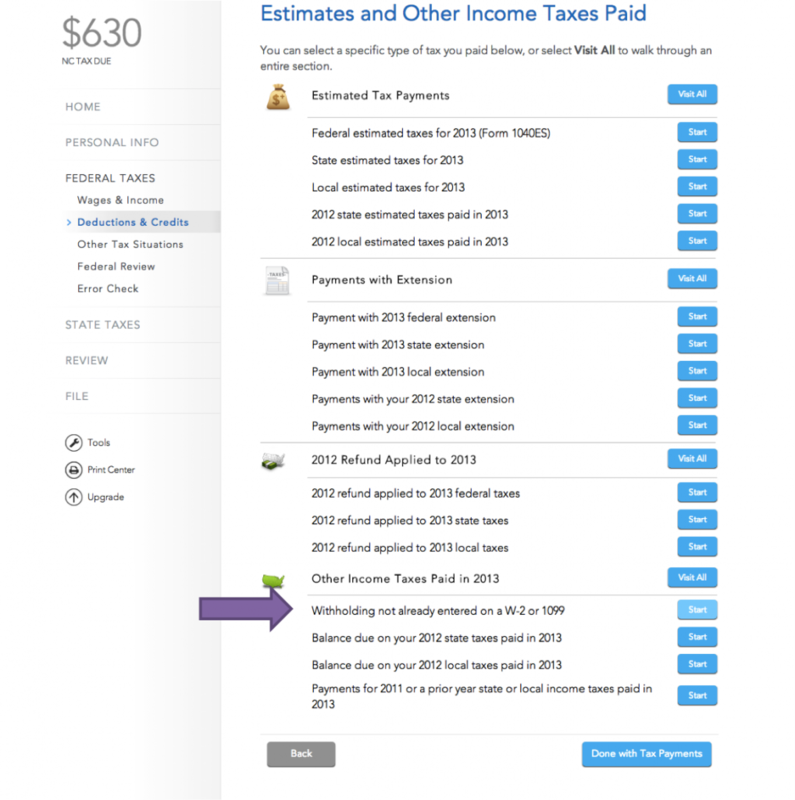 After entering the information from the 1099-MISC via EasyStep, Turbotax will assume that it is business income and it will go down the Schedule C path including calculating your Self-Employment tax and making your return overall, too complicated. All you need to do is switch to the Forms view, and find the 1099-MISC. 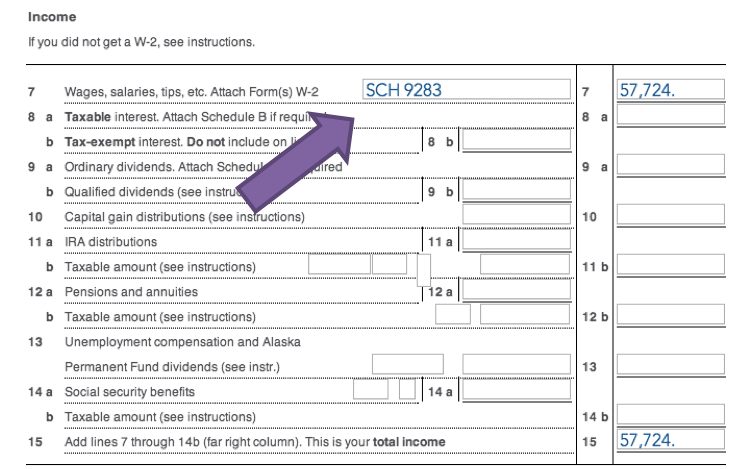 You’ll see that your box 3 Other Income amount is linked to a Schedule C. Instead, check the “Other Income” box (between From Alaska Permanent Fund and Back Wages from Lawsuit). Then delete the entire Schedule C which you do by selecting that form and then deleting it from the menu bar. Now if you look at your form 1040 you’ll see that the 1099 income is listed under line 21 and, more importantly, although it is taxable for income tax, there is no Medicare/Social Security associated with it. There will also be no Schedule C filed to complicate your return for no reason. I just had to figure this out for my daughter who had a summer research fellowship at school that was reported on a 1099-MISC. As an undergraduate student she is exempt from Medicare/SSN. I believe that this also is true for graduate students. Thanks for sharing this alternate approach! While I hesitate to say that entering the income in line 21 is incorrect (I did it that way for a few years, and the tax due comes out the same in some cases), I do think it’s not the “most correct” way to do it for fellowships/scholarships, especially for those who have qualified education expenses to deduct. There seems to be another way to do it in TurboTax, too, which allows you to report that you have a 1099-MISC (although this method does not reflect the non-compensatory income from the 1099-MISC on line 7 as SCH/Scholarship, as the IRS form 970 suggests). While inputting a 1099-MISC into TurboTax, it will eventually ask “Did the [whatever you’d labeled the income as] involve work that’s like [name]’s main job?” Answer “no” and continue. Then, it will ask “How often did [name] get income for [whatever you’d labeled the income as]?” and allow you to select different years when you expect this kind of income. ONLY leave 2015 (the current tax return year) checked, or it will continue to treat the income as self-employment. It will then ask: “Did the [whatever you’d labeled the income as] involve an intent to earn money?” Say “no”, and it will finish the 1099-MISC entry. There will now be an entry on line 21 of the 1040 labeled “Other Income from box 3 of 1099-Misc”, and it will have the amount from the 1099-MISC. I also ran TurboTax using the advice in this article, and the federal (and NC state) refund numbers came out the same with the method I’ve detailed here and that in this article. Thanks for pointing this out! It’s going to save my family a bunch of money. I reported my 1099-MISC in line 21 for a few years, and for me the tax came out the same, but that won’t be true for all grad students depending on their qualified education expenses and other non-compensatory pay. I think it’s safest to go for line 7. Sometimes tax software makes this process far more complicated than it would be if you just fill out the forms directly! Your explanations are great. My daughters situation is very similar but different. She is a dependent on her parents return which is making TurboTax walk us thru the Schedule D and Form 8615. This makes her $4,000 scholarship (applied for and won from a sponsoring bank but paid by check (and 1009-MISC) from the university) get taxed at the parents rate. The scholarship was specifically to offset the cost of completing a required practicum overseas. I can’t get the $4,000 off of line 21 onto line 7. The 1098-T was claimed on the parents return. It sounds like your daughter is being hit with the kiddie tax – perhaps that term will help you better search out solutions.